Shipping: Expedited 2 Day Shipping is available on this item when you order a 2-pack. Please see our 2 Day Shipping Section for details. 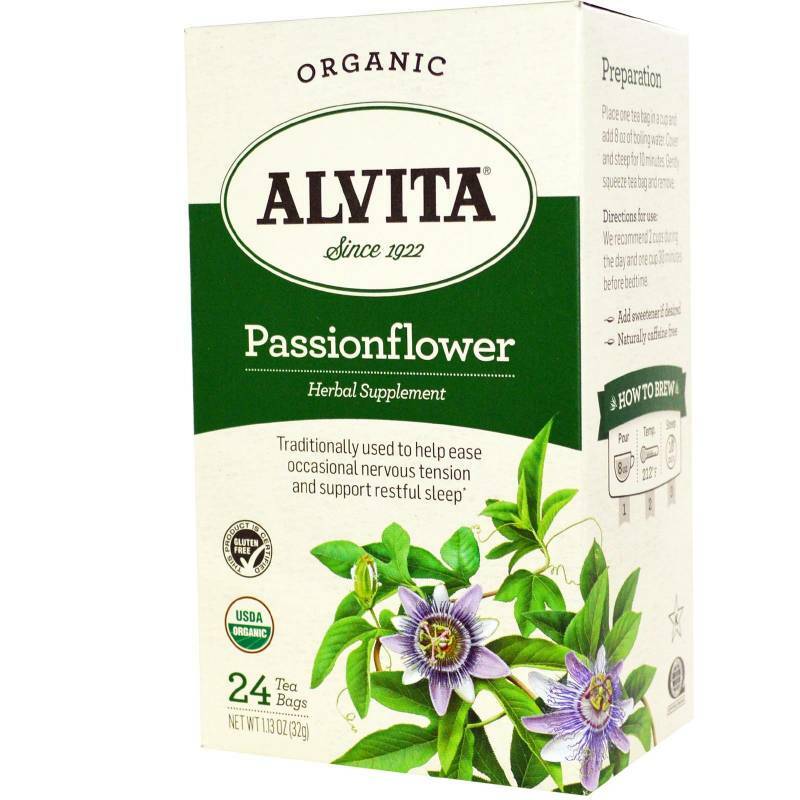 First documented in 1569 by Spanish explorers in Peru, passionflower (Passiflora incarnata) is so named because of the blossoms symbolic resemblance to elements in Christian theology. The herbs primary traditional uses include easing occasional nervous tension and supporting restful sleep. *Alvita Passionflower Tea is made with premium-quality, organic passionflower, and has a pleasantly smoky aroma and flavor.